Chinese incursions, safe to travel to Ladakh? There has been a lot of buzz in the media lately about Chinese incursions into DBO and Chummur sectors of Ladakh, which has caused worry to travelers planning to travel to Ladakh. If you too were/are planning to travel to Ladakh and after the recent reports of Chinese troops violating the LAC, are rethinking your plan, then stop, take a long breath and relax. As of now, this isn’t something which impacts majority of travelers, since the areas in question are located far away from touristy areas and have seen several hundred incursions each year on a regular basis. 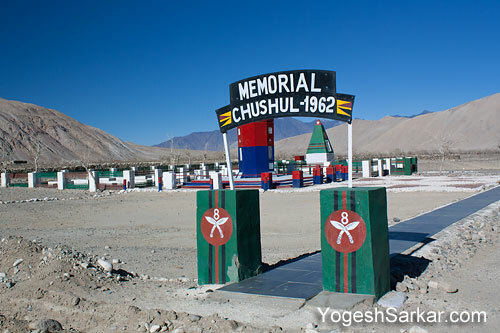 Having said that, if you were planning to travel to Chushul, Marsimik La or Chummur, you will likely have to reevaluate your plans, since it is highly unlikely that you would be issued permit in the first place and even if you get them somehow, security forces at various check posts en route can still stop you and order you to turn back. Travel issues aside, I feel that this tactic of Chinese has gone on long enough and it is time for India to take an assertive stand, to not only protect the sovereignty and integrity of India, but also in a bid to reassure the people of Ladakh (in particular those residing around LAC), that they have not been abandoned or left on the mercy of PLA. Additionally, India has to open up more and more areas of Ladakh to travelers (something J&K government is trying its best to do), so that people residing in those far flung areas get an opportunity to make a decent livelihood and to strengthen India’s case and legitimacy over Ladakh, which has been an integral part of India, since independence. While I am still a naive when it comes to matters of state and in particular, Indo-China conflict, Brahma Chellaney is one of the foremost authority on such issues and has great insights and long term view of the conflict and its repercussions, unlike some ministers in the Indian Government, who prefer to put their own visits to China on a higher priority than integrity of India. Anyways, you can follow Brahma Chellaney’s blog for more insights on the wider Indo-China conflict. A great and sensible post Yogesh.